My favorite Celebrity Survivor Solenn Heussaff as she takes the center stage and mesmerize her audience with her music. These Solenn concert photos were taken by Kit Gutierez last August 26, 2011 at the Teatrino Promenade in Greenhills. Coleen Garcia in her simplest form. Oh, we love Coleen Garcia. Very simple and yet very alluring. Lovely photo of Michelle Madrigal, Solenn Heussaf and Bianca King in Boracay. Look who are on the cover of Look Magazine July-Aug 2011 issue? No other than the Curtis sisters. 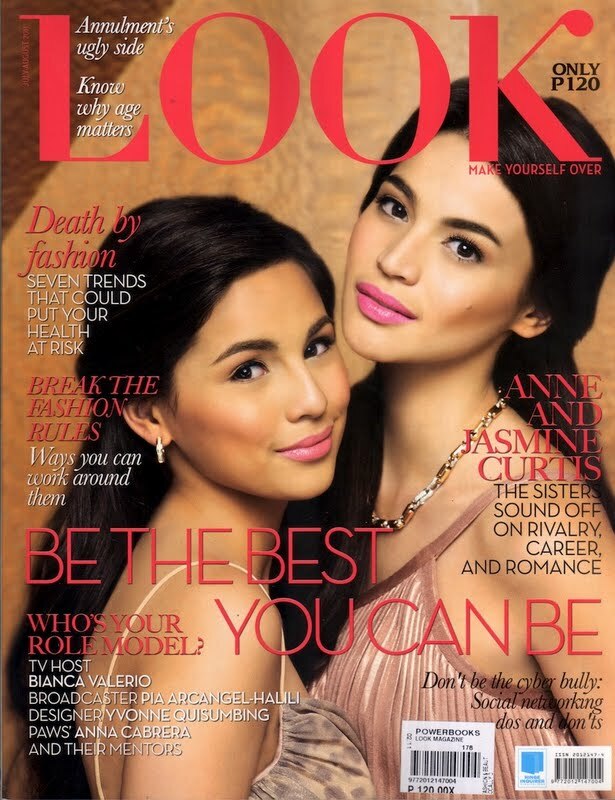 Anne Curtis with Jasmine Curtis. Who do you like best, Anne or Jasmine? Lovi Poe is very in demand nowadays. If you'll check our recent posts, you'll probably see 3-4 post on her. And here she is again. Now on the cover of FHM September 2011 issue. And not just an issue, but with elephant on the background. Uhmmm, another new from FHM. I've seen snakes, birds and other kind of small animals before but correct me if I'm mistaken. This is probably the biggest animal that they've included in a pictorial. So, what to expect in FHM September 2011? Aside from these elephant photos, more babes like Sarah Robertson, Reese of Eye Candies, Jen Pajaron. Even men like Derek Ramsay, Luke Landrigan, Azkal Aly Borromeo, URCC Founder Alvin Aguilar, PBA greats Atoy Co and Allan Caidic, current PBA hero James Yap, and Bowling champ Paeng Nep. FHM 2011 sexiest woman Sam Pinto on the cover of Women's Health Magazine August 2011 issue. Nice curves. Lovi Poe's photos from Meg Magazine August 2011 issue. Our favorite Coleen Garcia posing as model. She's really beautiful.